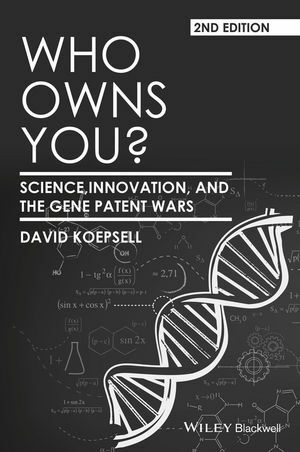 The 2nd Edition of Who Owns You, David Koepsell’s widely acclaimed exploration of the philosophical and legal problems of patenting human genes, is updated to reflect the most recent changes to the cultural and legal climate relating to the practice of gene patenting. David Koepsell is an author, philosopher, attorney, and educator whose recent research focuses on the nexus of science, technology, ethics, and public policy. He has provided commentary regarding ethics, society, religion, and technology for MSNBC, Fox News Channel, The Guardian, The Washington Times, NPR Radio, Radio Free Europe, Air America, The Atlanta Journal Constitution, and the Associated Press, and other media. He is currently Director of Research and Strategic Initiatives, Comisión Nacional de Bioética, and a Visiting Professor at UNAM Instituto de Investigaciones Filosóficas, Mexico, D.F.